Over the past six years Sandra has supported children and their families to increase emotional wellbeing, build resilience, and strengthen their relationships. Sandra works with children, adolescents and parents. She also offers parent-child sessions to foster greater connections, mutual respect and achieve a happier and calmer family life. Abigail has 10 years’ experience of working with families and is passionate about building family relationships based on Compassion, Connection and Communication. She understands the highs and the lows of family life; the fun times full of laughter and freedom and the other times of arguments, misunderstandings and the feelings of guilt. Abigail supports parents and young people to reduce their stress and discover their unique resilience for a happier and more positive future. 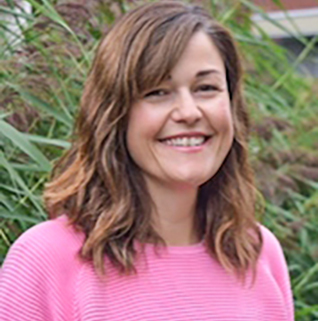 Dani has worked with children and families for 25 years in various contexts including early years, teaching, special needs, consultancy and advisory roles before coming to counselling. As a parent she fully understands the demands and challenges of raising children and the frustrations and difficulties that can arise within the family dynamic. Due to her interests and experience in education, her work mainly continues within school settings where she works with children and their parents, and supports teachers through therapeutic interventions. Rayan has worked with families, children and adolescents from diverse backgrounds and cultures for the last seven years. As a parent of two boys she knows what a big and challenging responsibility parenting can while managing the stress of such a life changing role. She started her career in media and acting and has integrated her creative life skills in her therapeutic work as a therapist. She offers a dynamic and creative therapeutic approach which is based on neuroscience, mindfulness and attachment theory.